Some pictures from our recent trip to the fabulous city of Porto, the second-largest city in Portugal with an urban population of 2.4 million people. 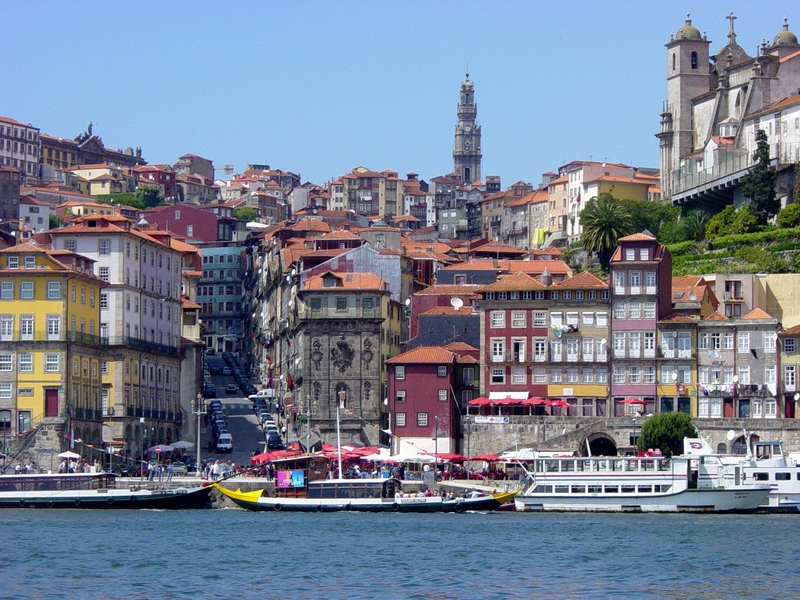 Porto is situated on the Douro river estuary in Northern Portugal. 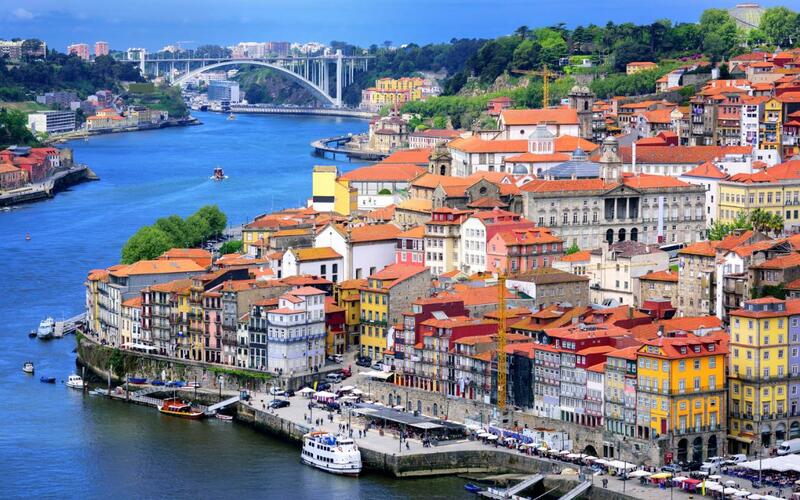 Porto received World Heritage status by UNESCO back in 1996. Although it wasn't long before the cloud was left behind and we saw the sun. Upon arrival in Porto a TAAG Angola 777 was parked. Our lift to Porto, G-OZBX (I couldn't get any further back to fit it all in and my finger makes an unfortunate appearance). An evening walk along the Ribeira (riverside in English). Surveying the numerous restaurants trying to decide which one to have dinner in (so much choice). They stretch the full length right up to the bridge. After dinner and a stroll we returned to our apartment to find this wonderful view. Looking across to Vila Nova de Gaia. The wonderful little street where our apartment was located (my pesky finger again). A jet boat does speedy turns on the river offering a thrilling ride. We opted for the more leisurely 6 bridges cruise. Taken from Vila Nova de Gaia looking back across to Porto. Many thanks Ray. Great pictures. I've been to Lisbon but not Porto yet. May have to get it ticked off sooner, it looks stunning! Day three started off with some cloud cover, with a lot of walking planned this ended up as a welcome relief from the heat of the day before. After walking across the top section of the bridge this is the view back towards Porto from the cable car station. After a wander around some of the back streets of Vila Nova de Gaia we found a great little cafe and had a spot of lunch, and a Port of course. They also owned a wine shop across the street. By this time the sun was back out and it was starting to get very hot again. One of the Port tasting houses. Porto has 6 bridges, the main one is the Dom Luís Bridge (designed by Gustave Eiffel) which is in most of the pictures. Here are two more further upstream, the concrete one behind was built to replace the metal one in front (Maria Pia also designed by Gustave Eiffel). I hope that it doesn't get taken down. Into the more touristy part of the city and the Clérigos Church (Church of the Clergymen). For a small fee (4 Euros and kids are free) you can climb the Torre dos Clérigos (Clergy Tower) giving amazing views across the city. The tower from the front (water is recommended as it's quite a climb). Some random pictures from our walk about. Looks a great place to spend a few days! Great photos! I've been to Lisbon only for a day and after seeing those photos Porto is definitely going on my list! Stunning images and a great review of what seems to be a great city break destination! I've never considered visiting Porto but it looks really nice. How cheap is it when you're there? How cheap is it when you're there? For a city break I found it very reasonable, cheaper than the likes of Rome etc. Obviously things are more expensive than a beach front tourist restaurant in Greece but considering we were eating riverside in a city centre I thought it was great value (and the food is outstanding). Transport is very good value, 3 Euros for a tram ride to the beach (kids are free), not much more for the funicular railway and cable car. 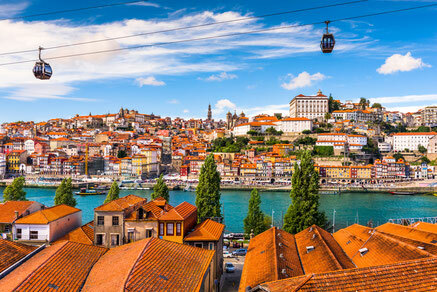 I've never considered visiting Porto but it looks really nice. It really is so beautiful, the whole historic quarter is a UNESCO World Heritage Site with so much more in the city itself. The people were also so friendly, the kids and I attempted some very basic Portuguese (shockingly bad really) but it really seemed to be appreciated. We also found that asking the locals a few questions about the city lead to some fascinating insights, they are very proud and rightly so. There is also a decent beach only 15 mins or so away on public transport (Foz do Douro), great for cooling off in the summer months. I loved it, Mrs F loved it and the kids loved it. To us Porto easily competes with the likes of Amsterdam, Barcelona, Rome etc.......although Porto has the advantage of being a lot less busy. These are from Google Images so credit to the takers. I've just added it to my bucket list. Good Choice.....I'm a bit mad on Portugal to be fair, but it's a small country with lots to offer. Try Evora. I've never actually been to Portugal at all. Spain has always been my default choice with Greece second. Not for any reason. I need to broaden my horizons. Well if you need any advise give me a shout, I go often and like you would have gone to Spain or Greece, but not now. For a city break I couldn't recommend Porto highly enough. As you know my kids are still small but with the beach, the trams, the funicular railway, the cable car, the bridge, the markets....... they loved it.